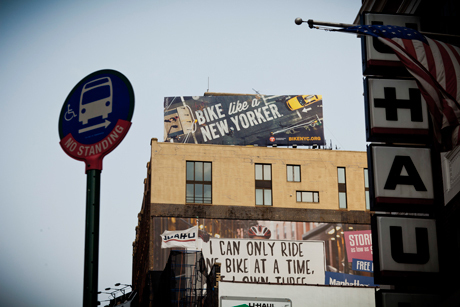 I was part of the creative team (a collaboration between Mother New York and Transportation Alternatives) that paired irreverent messaging and aerial photography to promote T.A. 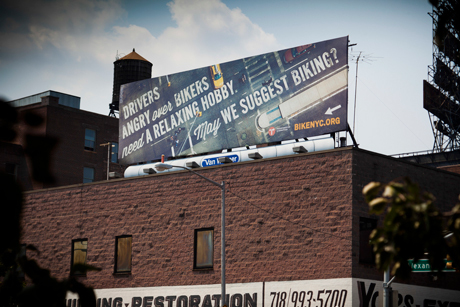 's website, BikeNYC.org through a series of billboards and ads, displayed all over NYC. 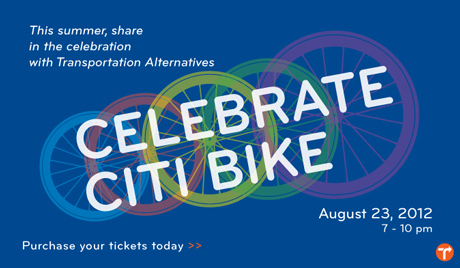 I also worked on staff as the Web and Design Director for Transportation Alternatives for 5 years. 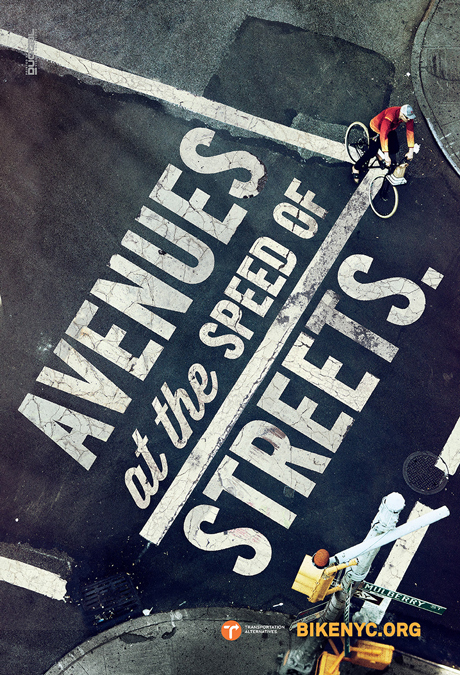 These are some pieces produced during my tenure. 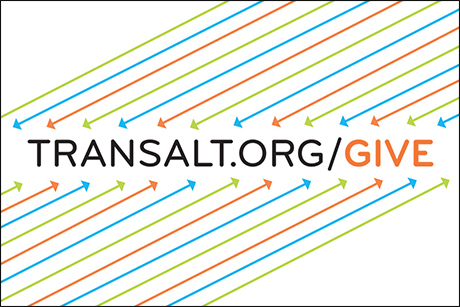 This was a fundraising social media graphic I created. 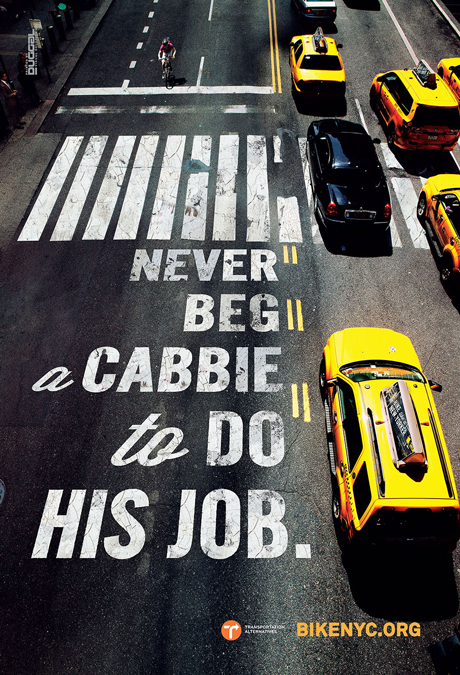 This was the cover of a printed card for a year-end fundraiser. 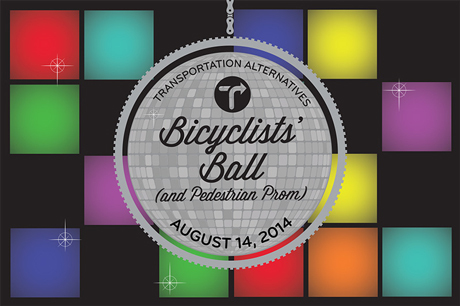 This was the front of the Bicyclists' Ball invitation postcard. 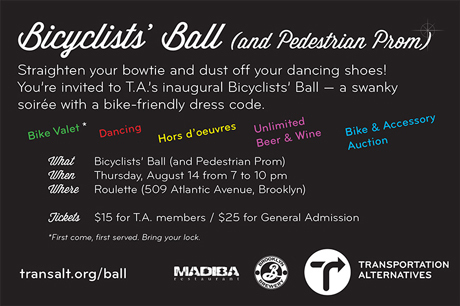 This was the back of the Bicyclists' Ball invitation postcard. 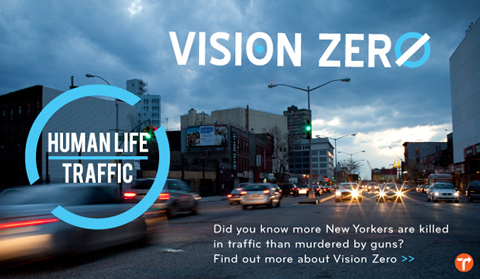 This was a social media graphic I created promoting Vision Zero, which has now been adopted by the NYC DOT. 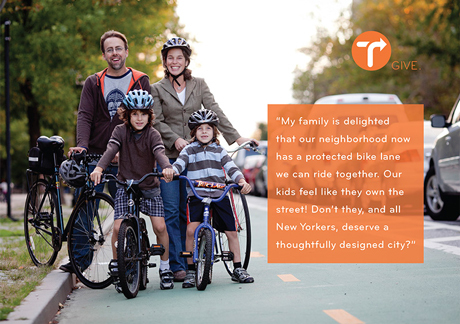 This was the front of an invitation postcard celebrating the launch of public bike sharing in NYC. 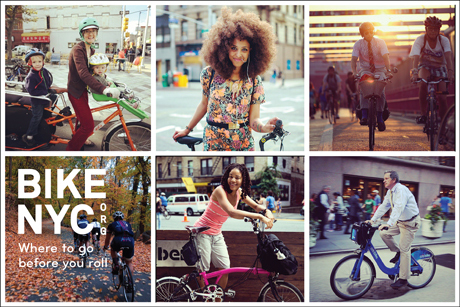 This was the front of a postcard announcing the launch of the new website BikeNYC.org. 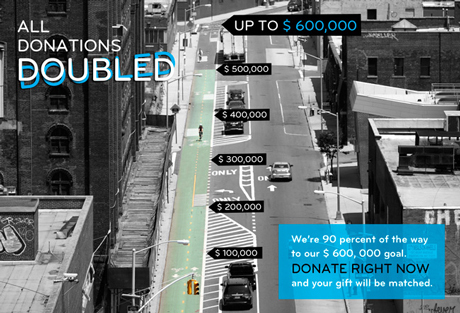 This was a graphic I created for year-end fundraising.